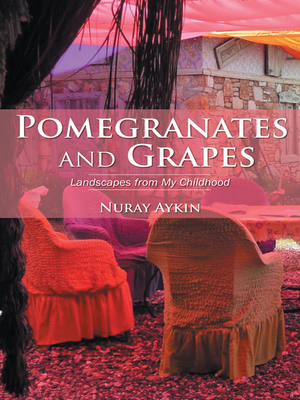 Nuray Aykin, author of the charmingly titled Pomegranates and Grapes, emerges as a masterful wordsmith, connecting readers to her story even though we don't know her, or her name. We learn about a remote upbringing in towns scattered across the landscape of Turkey and are moved by a solo journey to Buffalo, New York, to secure a doctoral degree amidst years of illness and "foreign-ness." We commiserate after the breakup of her marriage, and enjoy the success that comes after hardship and strife. The food of her country anchors her adventures and evokes a Mediterranean way of life that buoys her spirit throughout. Yet strikingly, the story is not really meant for us at all. It is, instead, a retrospective diary of sorts to her 18-year old son who is leaving for college. Lest the past go unremembered, Ms. Aykin uses the word avlu, a greeting or entrance area, to welcome her son into her life's story, in order for him to better understand his own. "We would sit under the shade of a walnut tree and eat our lamb chops in cool weather. At the houses we visited, they would serve sikma, made by filling bazlama (bread dough) with feta cheese, onions and parsley. After you wrap the hot bazlama around the filling you need to squeeze it with your hands, almost leaving imprints of your fingers on it to warm up the fillings. We would drink ayran (a salty yogurt drink.) The foam of ayran would fill half of our glasses, just like beer, and leave a white mustache every time you took a sip. We had an abundance of fruits and nuts -- apples, pears, plums grapes, black and white mulberries, almonds, walnuts and pistachios." With a PhD in industrial engineering, Ms. Aykin has a rare gift of combining laser intelligence with motherly passion. Her story is a cultural and emotional "dig" into the archeology of nuclear and extended family relations, stereotypes of grandparents and women, and the exquisite simplicity that binds us through food and love -- whether we are in Istanbul or Buffalo; whether we are child or parent, leaving or left behind. But where Ms. Aykin teaches us about her native cuisine in prose, I craved the immediacy of first-hand experience. Enter: Ms. Butcher's cookbook. 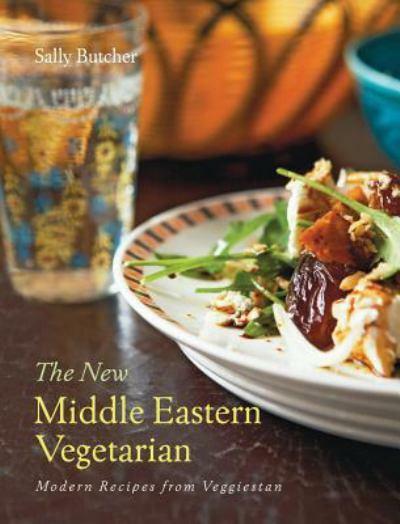 It's rare for me to read a cookbook cover to cover, but a trip to Veggiestan (a fictional region including Turkey, the Levant, and Middle East) while sitting in bed with a cup of mint tea, was irresistible. I longed to "taste" the food of places I had not yet been -- Turkey, Iran, Iraq, Greece and Lebanon, to name a few -- and so this evocative romp would have to suffice for now. Immediately I turned to the recipes from Turkey as Ms. Aykin had whetted my lips for aryan (recipe below), and more. In Ms. Butcher's engaging book she boasts about the Turks' impressive array of bread. "Unsurprising," she says, "if you study a map of the country. It extends in all directions: south to the Mediterranean, north to the Black Sea, permeating ever easterly. Its cuisine reveals a huge number of influences," and she has included recipes for the two most intriguing and versatile breads: yufka and pide. The former is soft and chewy and made with yogurt; the latter, is a "wrap" of sorts and thin as a wafer. Knowledgeable as all get out, Ms. Butcher is a London-based food writer who, with her husband, runs the renowned Persepolis -- a Middle Eastern food store where, according to fans, her enthusiasm and tenacity is in no short supply. This comes bursting through the pages of her new book -- transforming scholarly authenticity into joy. And while you will find many vegetarian recipes from Turkey -- including the populist red pepper paste, olive oil-drenched egpplants, everyday beans, and lahmacun (a kind of Turkish pizza), the array of recipes from elsewhere in Veggiestan is dazzling in their scope and in their use of exotic (but findable) ingredients: orange flower water, turmeric, saffron, rose petals, barberries and pistachios. Swooning, yet? Ms. Butcher has a gift for recipe titles: Melons with Wings; The Soup of Ezo the Bride; Palestinian Upside-Down Rice, Burghlers (you can guess what these are), Persian Magazine Spinach Balls, and Black-eyed Pea and Lemon Hotpot. A recipe for Sweet Hummus, made with date syrup, cinnamon and cardamom, intrigues. As promised, here's her recipe for aryan: A perfect drink for these sweltering days of summer. Enjoy. Whisk (and I do mean whisk) the yogurt and water together. Add the salt and the mint, and chill well. Serve over ice.